Perhaps the biggest news announced at CineAsia was Arts Alliance Media partnership with Wanda Cinemas. It would be good, however, to have a bit more specifics on what exactly the deal entails for both parties. The partnership will see AAM serving as a primary technology partner to Wanda with the aim of creating efficiencies, increasing revenues and improving customer experience across all of Wanda’s cinema operations. The partnership covers both existing business and future developments. UK telecoms operator EE is ending its cinema sponsorship deal after more than a decade, though a new sponsor partner is likely to replace it. Mobile company EE is to end long-running 2 for 1 cinema deal Orange Wednesdays in February 2015 after the company and cinemas could not agree a commerical deal. GDC had a busy CineAsia and I was as always impressed by the technology on display at their stand. Too many press releases to repeat them all here, particularly for their SX-3000 Standalone IMB and Theatre Management System (though it was the CLA-2000 Content Library Adapter in particular that caught my eye), so know that they announced deals with China’s Evergrande, Sichuan Pacific Circuit and China Film Group amongst others. And they launched a new logo. Something I am VERY into at the moment, for reasons that will become apparent in early 2015. In its new emblem, the GDC initials – standing for Global Digital Creations – retain pride of place at the center of the logo, reflecting the company’s solid foundations and an ongoing commitment to its core values and to satisfying customers digital cinema needs. New to the trademark, are the curved bands which enclose the type, evoking the globe and thereby alluding to GDC Technology’s standing on the world stage and to its global reach. Also at CineAsia Barco announced that it had reached the milestone of having shipped 50,000 DLP Cinema projectors world-wide, thus making it the largest digital cinema projector company both globally and in China. Barco, the worldwide market share leader in digital cinema projection, has achieved a major milestone in its DLP Cinema® projector deployments spanning nearly 15 years, installing 50,000 units across the globe as of the third quarter 2014. USA – The fourth and fifth largest US cinema chains have joined the satellite DCP distribution consortium DCDC. India – Away from CineAsia Reliance finalised the deal to sell Big Cinema to Carnival, making the latter the third-largest multiplex operator in India after PVR and Inox. Interesting to see that some of the properties have been spun off and will be sold separately. Indicates that the target price was not met for the chain as a whole and that PVR and Inox would have liked to cherry-pick the portfolio. Anil Ambani-led Reliance Group has sold its Big Cinemas unit to South India-based Carnival Group in a deal that would lower the debt of its financial services arm Reliance Capital by about Rs 700 crore [USD $112 million]. India – Perhaps no surprise that with all this consolidation in the Indian cinema sector the price of multiplex tickets and F&B are going up. Multiplex firms have been steadily raising their average ticket prices (ATP) for movies while focusing on earnings from food and beverages (F&B) in order to protect revenue growth from sluggish footfalls. ATPs at both PVR Ltd and Inox Leisure Ltd—the two largest multiplex firms—have seen an increase in the first half of the current fiscal year. Australia – More details on the mooted private equity buy-out of Hoyts; there’s Chinese money involved. A Chinese investor, and associate of Dalian Wanda, is the front runner to buy Australian cinema chain Hoyts. Hoyts, which is currently owned by Pacific Equity Partners, had planned an $800-$900 million initial public offering but cancelled that last month. PEP has since revealed that it is in talks with private company ID Leisure International Capital. USA – Marcus theatres is accelerating its upgrade program – 2015 is only a few weeks away after all. Marcus Theatres, a division of The Marcus Corporation is continuing its multi-million dollar investment in its circuit to bring consumers the ultimate movie-going experience — announcing significant renovations and new amenities at additional locations. 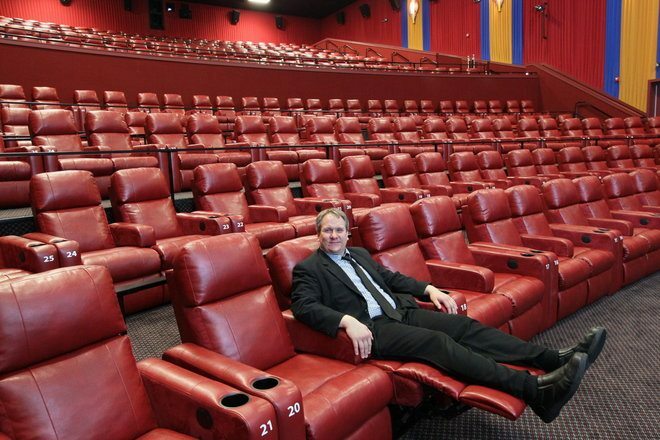 The renovations will add DreamLounger recliner seating to all of the auditoriums at the South Shore and Menomonee Falls Cinemas in the Milwaukee market and the Elgin Cinema in Elgin, Illinois. Morocco – Morocco has just two multiplexes but they generate two-third’s of the country’s box office takings. The Megarama group will open new multiplexes in 2015. By the beginning of 2015 it plans to open an 11-screen complex, with 1,400 seats, in Rabat – Morocco’s capital – and, in March 2015, an eight-screen venue, with 1,000 seats, in the international port city of Tangiers. These sites were originally planned to be opened in 2014, but due to issues related to planning permission and construction delays, have been pushed back to 2015. China (PRC) – AAM is not the only one to have a strategic software partnership with Wanda. Yummi has just re-affirmed their partnership with China’s largest cinema operator. Singapore-based Yummi Media Group (Yummi), a digital media company specialising in the creation of premium interactive content for second screen engagement, has announced an exclusive licensing and partnership agreement with Wanda cinema chain in China, to enable the country’s growing number of cinema-goers to access movies and interactive content from its new mobile app, WeDong. Ireland – Unique is the latest vendor to be in compliance with WW’s Cinema.Reloaded(R) scheme. Theatre Management System software – RosettaBridge™ V1.1 – by Unique Digital Ltd has been certified by Weischer.Media as ‘CINEMA.RELOADED® ready’, meaning that RosettaBridge™ V1.1 is compatible with Weischer.Media’s sophisticated and highly-automated digital cinema advertising solution, CINEMA.RELOADED®, when interfaced with the required ONEDCN® pre-show system. 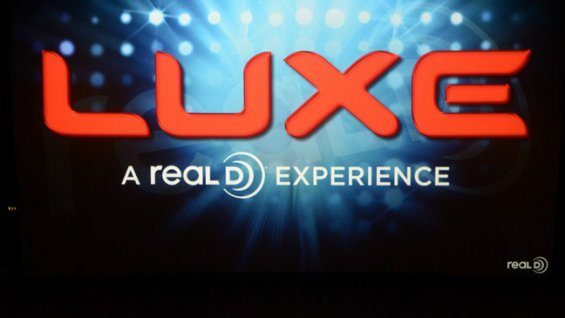 China (PRC) – RealD announced that its Luxe PLF screens will be appearing in three multiplexes owned by China’s Broadway Circuit. 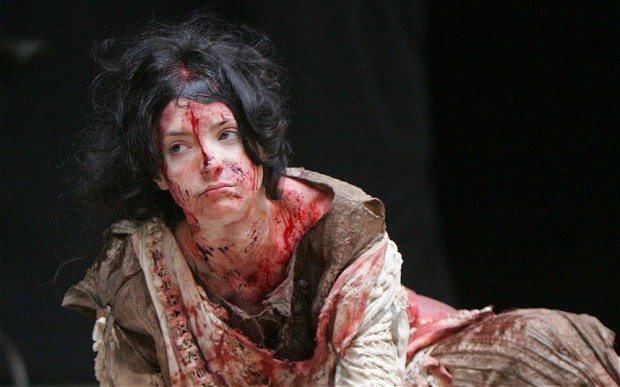 UK – Violence and gore is nothing new in cinema, so let’s see if multiplex audiences are hardier than theatre patrons. AAM is distributing Shakespeare’s Globe plays globally. Indonesia – At CineAsia Dolby announced that Indonesia’s dominant cinema operator has committed to 100 screens with the immersive audio technology. 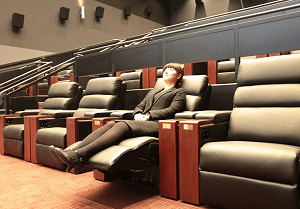 Japan – Electric recliner seats are the norm in this newly opened cinema in Japan; a first for the country apparently. Ion Cinema was opened five days Aeon Mall in Okayama Okayama, the total number of seats about 2000 and the prefecture of the largest cinema complex. That attention among them, it’s adopted the domestic cinema complex’s first all seats electric full reclining seat “Grand Theatre”. UK – ‘Catching Fire’ – the puns practically write themselves. HUNDREDS of people were forced to evacuate Vue Cinema in Plymouth this afternoon during a screening of Hunger Games exactly a year after the same thing happened. Fortunately this evening’s ‘blaze’ was a mock one, during Mockingjay Part 1, while last year wires actually caught fire during Catching Fire. UK – We now know who will build the 10-screen Odeon Bournemouth multiplex. 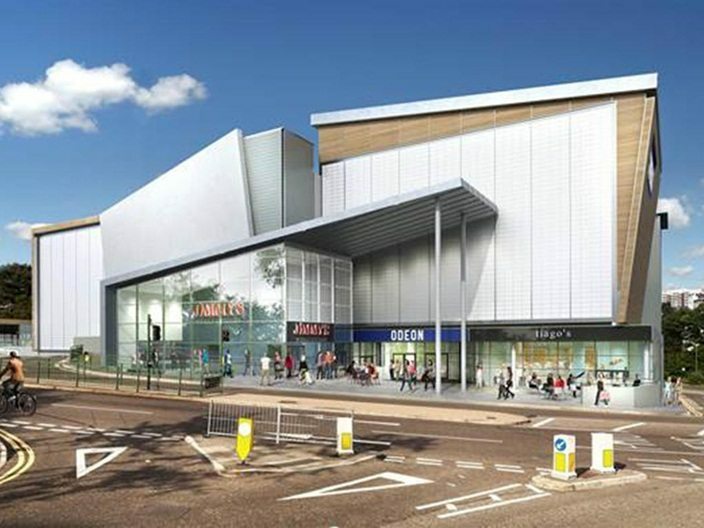 Vinci Construction UK has won a £30m job to build a 10-screen cinema and leisure complex in Bournemouth. 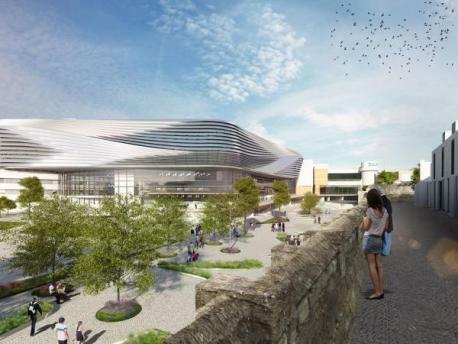 UK – Meanwhile construction rivals McAlpin has been selected for this project in Southampton. Hammerson has chosen Sir Robert McAlpine for the main construction works for its £70m WestQuay Watermark development in Southampton. The mixed-use, leisure-led scheme includes a 10-screen cinema, up to 20 restaurants and a new public plaza. 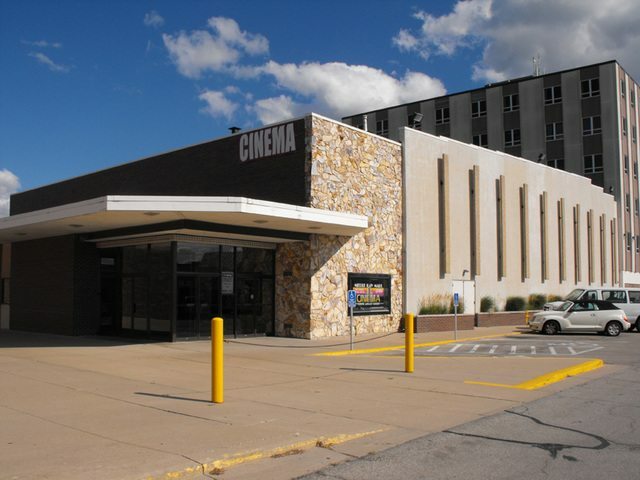 USA (IA) – The last big single-screen movie house in Iowa is closing its doors for good. Sad irony that only PLF big screens seem to survive. Fifty years ago, it was Plaza Theater that attracted big crowds with its giant screen to showcase the latest Hollywood films. The historic cinema, now known as the Merle Hay Cinema, will close its doors for good this week. Some of Merle Hay Cinema’s customers and employees said they’ve been attached to the cinema for decades because it’s unlike any movie experience in Des Moines. This Bollywood film has been playing for over 1,000 weeks in the same cinema. That’s close to 20 years and a record of sorts. The iconic Bollywood blockbuster DDLJ has finally finished an uninterrupted run of 1000 weeks in theatres. Needless to say, it is a feat unlike any other. It tugged at the heartstrings of the young, middle-aged and the old alike when it released way back in 1995. Even a thousand weeks after its run at the box office, Shah Rukh Khan-starrer romantic drama ‘Dilwale Dulhania Le Jayenge’ (DDLJ) continues to be “cherished” by youths, who consider it an “ideal love story”.